Plaster portrait relief of William Beaumont without the text. Tags: Figure, Figure sculpture, Model, Plaster, Plaster Model, Portrait, Portrait Plaque, William Beaumont M.D. 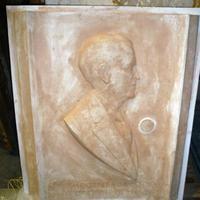 Plaster portrait relief of Jerome Patrick Cavanagh Mayor of Detroit. 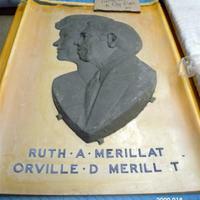 There are two small medallions on the relief, one of the Spirit of Detroit, and the other of the City of Detroit seal. 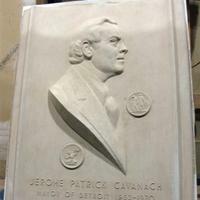 Text on relief is "Jerome Patrick Cavanagh Mayor of Detroit 1962-1970". 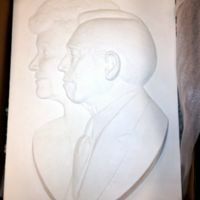 Plaster relief portrait. Signed under proper right shoulder. 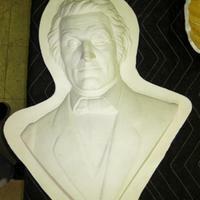 Plaster portrait relief of John M. Dorsey. 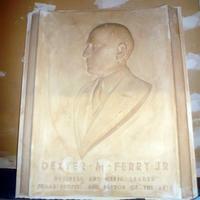 Text on the mold is "John M. Dorsey MD 1900-1978 Wayne State University 1946-1978". 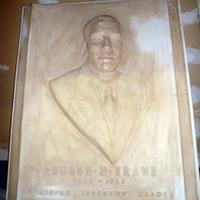 Plaster portrait relief of Ruben Trane. Text on the plaster is "Ruben N Trane 1886-1954 Engineer Inventor Leader". 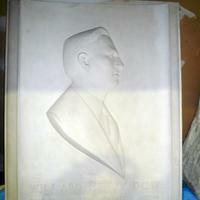 Plaster portrait relief of Willard Henry Dow. 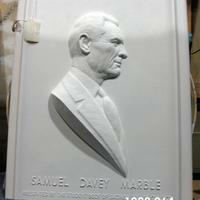 Inscribed on the bottom is "President of this company 1910-1949"
Samuel Davey Marble plaster portrait relief. 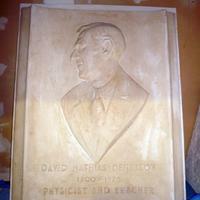 The text on the plaster is "Samuel Davey Presented by the student body of Saginaw valley State College".